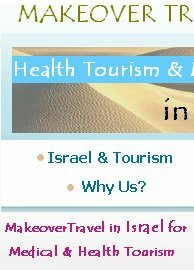 In general, Makeover Travel group "Medical Tourism" is able to assist clients with obtaining any kind of medical care, from wellness checkups to the most advanced procedures and surgeries. 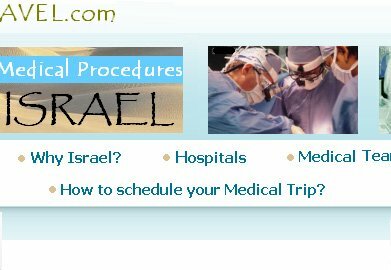 Our network of facilities, doctors and surgeons includes the best equipped hospitals and finest medical practitioners in Israel. From the menus above, you can select from some of the more common procedures that patients interested in traveling abroad for care are seeking. The specialties and procedures listed here represent those which are most commonly explored through Makeover Travel. Please note that this list is not exhaustive. 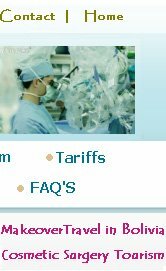 These descriptions are meant to provide you with a brief and simple overview of each procedure and are not clinically detailed. If you are interested in a service or procedure not listed here, please contact us. While each of the medical centers in the Makeover Travel Network excels in specific specialties or procedures, each offers a full complement of medical specialists and capabilities. Prevention: The Key To A Healthier You. As the old saying goes you can never put a price on your health and this of course is true, as we all know prevention is better than cure. Many terminal diseases can be successfully treated if detected at an early stage itself. Regular health checkups are a key to this. They help in early detection of terminal diseases as well as prevention of other common diseases. Our Health Care packages include total health check-ups at affiliated hospitals. On offer are 2 health care packages. Golden Age is specifically designed for the senior citizens - those above 65 yrs of age. Tests like Haemogram, Lipid Profile, Liver Function Test, Kidney Assessment, Blood Sugar etc. are carried out in both the packages. Many patients have been reluctant to take preventive measures with their health due to the cost, but medical tourism is changing this perspective and our services are designed to accommodate this view.